Idling in from a morning photo shoot off Sanibel Island in in the early 2000s, Powerboat magazine editor Brett Becker and I took off our PFDs and let the balmy Southwest Florida air wash over us. We had 10 boats to test that day with professional drivers Bob Teague and John Tomlinson, which meant we wouldn’t get off the water until dark. Testing boats isn’t the worst work in the world but like any job it eventually becomes—a job. Becker turned to me and grinned. 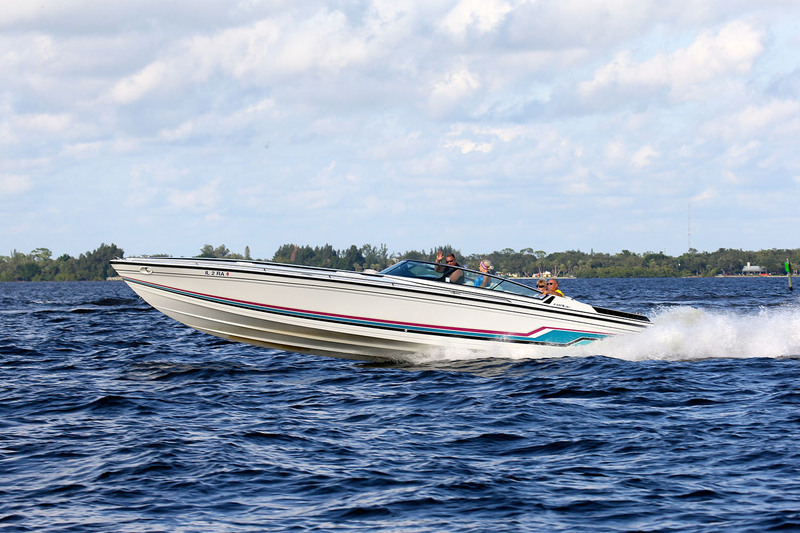 Introduced in 1998, the FAS3Tech line brought Formula into the stepped-hull V-bottom sportboat line. Photos by Pete Boden/Shoot 2 Thrill Pix. I nodded and laughed. Becker had a great point. Though it was far from the fastest or sexiest performance boat we would test that day, it was—like all the Formula FAS3Techs we had run during Powerboat’s annual performance trials—reliable, predictable and a whole lot of fun. But a Formula FAS3Tech had everything most go-fast boat owners could want. Great handling manners, excellent ride quality and strong overall performance. Good looks, fine features and well-planned and executed ergonomics. For most buyers, a Formula FAS3Tech was more than enough go-fast boat, maybe even enough the last go-fast boat they’d ever buy. So yesterday’s news that the Decatur, Ind., builder was shelving the FAS3Tech line is bittersweet. 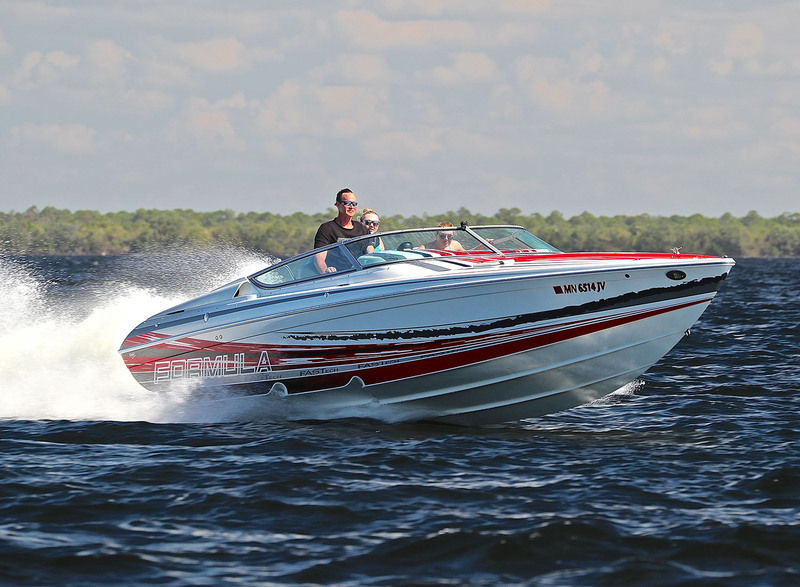 On one hand, Formula had reinvented itself with its Sun Sport, Super Sport, All-Sport Crossover, Crossover Bow Riders, Bow Rider and Performance Cruiser lines. Where other performance-boat builders had found post-2008 Recession salvation in center consoles, Formula found it in multi-purpose recreational day boats from 24 to 40 feet. For the company and its employees, it’s hard to see that as anything but success. Formula replaced its original SR-1 sportboat series with the FAS3Tech line in 1998. The bitter part? A once-important line of V-bottom sportboats is gone. Buyers have one less option and—while it isn’t dead thanks to Cigarette and Outerlimits (and, fingers crossed, Fountain)—the V-bottom sportboat segment is a shadow of what it used to be. Formula launched its stepped-hull, fiberglass structural grid stringer system-equipped FAS3Tech line to complete with Fountain’s stepped hull offerings in 1998. The FAS3Tech series replaced Formula conventional V-bottom SR-1 sportboat line, which—at least in terms of top speed on like power—was getting eating alive by Fountain products. So Formula’s stepped-hull conversion was equal parts performance enhancement and marketing. In the spring of 1997, a few other marine writers and I were invited to a weekend-long event on the Bahamian island of Bimini for the FAS3Tech media debut. With the introduction of the line set for 1998, the buzz on the island was electric. Just being there was a rush. On late Saturday afternoon that weekend, Formula’s Pat Laux and John Alexander took me out on a 27-foot FAS3Tech and let me have at it. They couldn’t stop grinning. Neither could I. Then we returned to the docks and grabbed a 38-footer. Same result, rinse-repeat. So why would you want anything else? There are lots of reasons, of course, but the point Becker made off Sanibel Island several years later resonated—and still resonates—with me. For so many owners, a Formula FAS3Tech was all they would ever need.